Task: Promote awareness about teen obesity. Insight: This is a socially isolating epidemic. 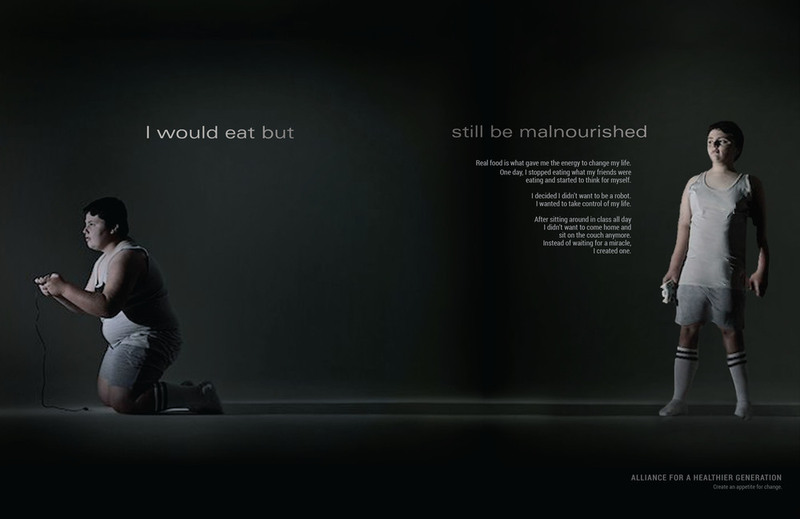 One third of the nation is obese, it affects everyone. 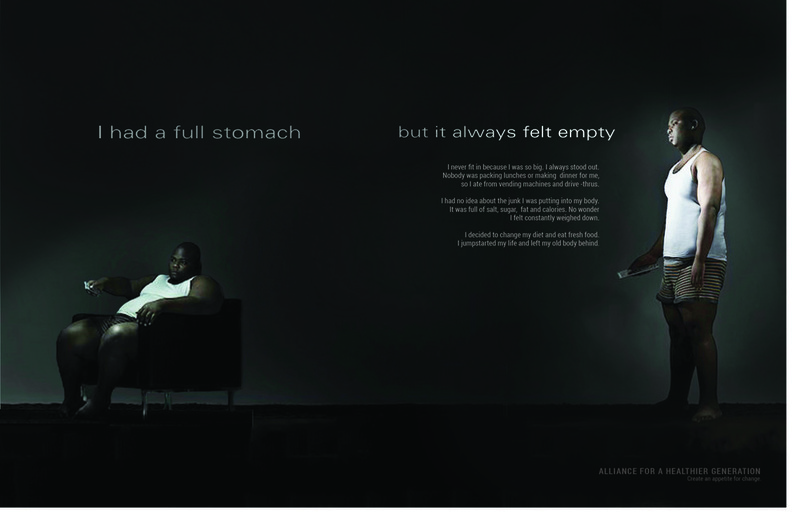 Solution: A set of print ads were executed to provide a visual of the struggle with obesity that few understand.